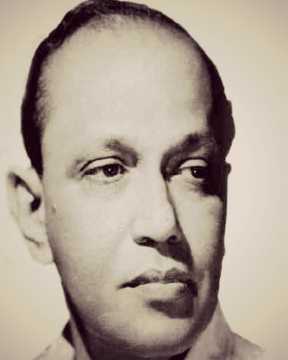 On his 45th death anniversary today (17 November), we take a closer at Debaki Bose, the first Indian director to be honoured with International Award of Merit. A leading filmmaker in Indian cinema, Padma Shree Debaki Bose was an innovative director who set the trend for the development of modern techniques in that era. Born on 25 November 1898, Bose was the son of a solicitor from Burdwan, West Bengal. As a young university student, he abandoned his studies and became involved in Mahatma Gandhi's non-cooperation movement and began editing a weekly journal, Shakti, known for publishing anti-British writings. Bose was hired by silent filmmaker Dhiren Ganguly as an actor and writer on Kamaner Aagun (1930) and went to direct his first feature with Panchasar (1930). 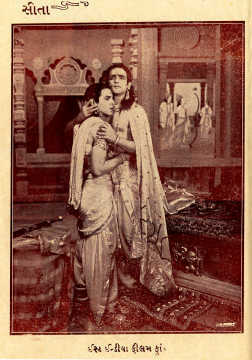 Apradhi (1931), starring PC Barua and Sabita Devi, was the first production in Kolkata to use artificial lights in a film. The film was hailed a trailblazer in silent cinema and praised as the best film of the year. Another one of his landmark films at New Theatres, Chandidas (1932) was the first talkie to use background music to heighten the film. In 1933, he went one step further to introduce playback singing with Puran Bhakat (1933), his first film in Hindi. 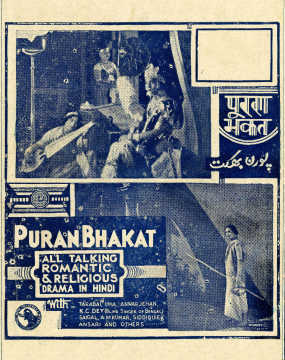 Based on the story of Prince Puran of Punjab, the film was a success all over India with music composed by RC Boral and songs sung by KL Saigal and KC Dey. His film Seeta (1934) is recalled as one of the finest mythological depictions from the early era of silent cinema. Starring Prithviraj Kapoor as Rama and Durga Khote as Seeta, the film won the certificate for recognition at the Venice Film Festival in 1934, making Bose one of the earliest Indian directors to be honoured for his work internationally. Sadly, no prints remain of this grand old film today. Lauded as one of the greats of Bengali cinema, Bose also made a few feature films in Hindi and Marathi. One of his most famous film, was Sagar Sangamey (1959), a National Award-winning Best Feature on the caste distinctions among Brahmins. It was nominated for the Golden Bear award at Berlin International Film Festival the same year. His last film Arghya (1961), based on four poems by Rabindranath Tagore, was a documentary on the caste system. Bose inspired many by his art; Ashok Kumar decided to join films especially after seeing Chandidas and Puran Bhagat. He introduced many Bengali actors such as Kanan Devi, Chandrabati, Umashahi and Chhaya Devi in his films that went on to become prominent personalities themselves. Bose passed away on 17 November 1971 leaving behind a legacy of 50 films from 1930 to 1961.